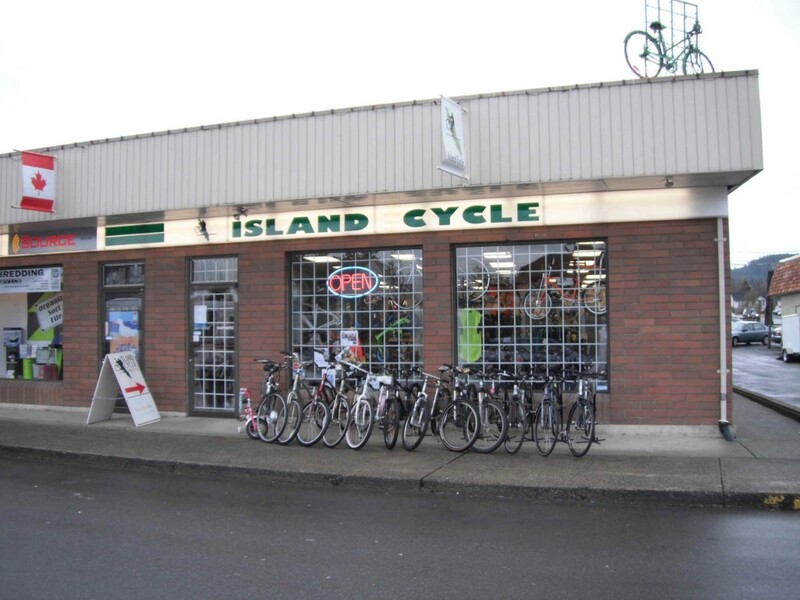 A fixture for 22 years in the heart of Parksville BC, Island Cycle is your Mid-Island source for Marin, Brodie, Louis Garneau, Marinoni bikes. You will find an excellent selection of road, front and full suspension mountain, hybrid, dirt jump, BMX, and kids bikes and all the accessories to compliment you and your bicycle. Looking for a simple advice? Looking for a diagnostic? We offer that and more! Friendly expert service and repairs for all makes & models of bicycles. We service and sell electric bikes with Bionx or the new Shimano Step systems. Island Cycle provides a full range of bicycle parts from the likes of Shimano, Sram, Avid, Rockshox +++. Tools from Park, Lezyne, Ice Toolz, EVO +++. Tires from Michelin, Schwalbe, Kenda, CST+++. Check out our trails page! You will find mountain bike trails and bike routes for road riding in the Oceanside area of Vancouver Island. If you are looking for cycling events, or relays, check out the events page.